You guys. I did it. I sent out Christmas cards this year. ( Fist pumps like Nick Miller. ) I'm pretttty sure the last time T.J. and I sent a Christmas card was in 2010, when we posed with all FOUR cats in our Smilebooth. 😹 Which, don't get me wrong, was totally amazing, but now that we've got sweet little Junie to take pictures with, pshhhh - our cats simply won't do. 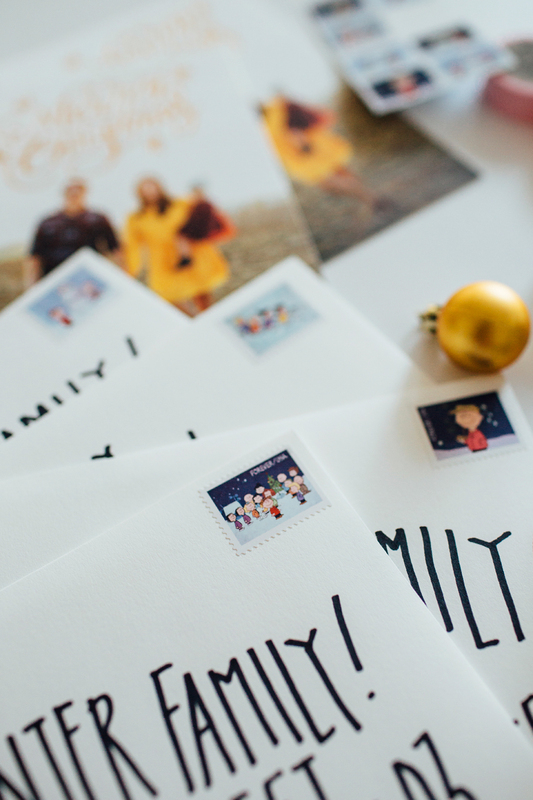 I literally squealed at my desk when Minted ask to partner with us on our Christmas cards. I have ogled over their cards for years - all beautiful and letter-pressed and metallic, and did I say beautiful - and was thrilled to order ours through them this year. The entire process was incredibly easy and user friendly. They even have this awesome "Find It Fast" feature that you can toggle on, where it'll insert the photo you uploaded into every design. This was a life. saver. Because, I had a whole folder full of "favorites", but when I saw my actual photo in the designs it was super easy to pick the perfect one! 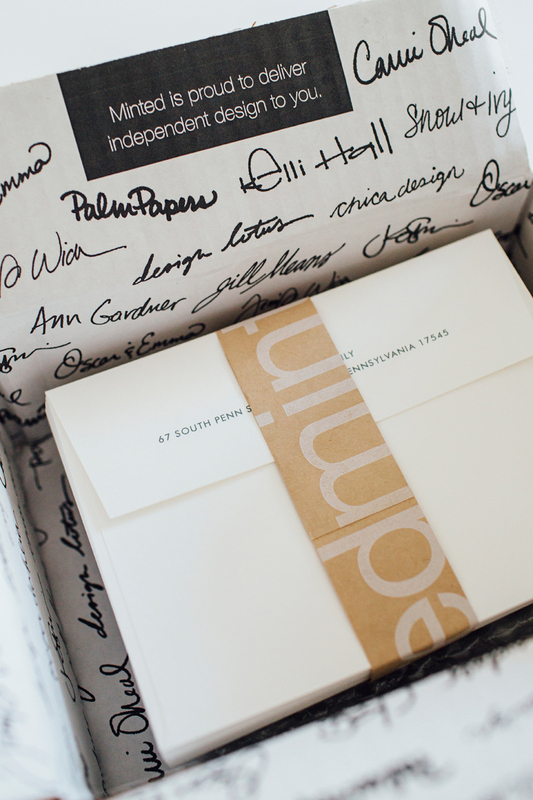 Everything arrived - invites and return address printed envelopes - in a beautiful box, lined with the names of some of their designers. Being a small business owner who frequently hires other designers to do work for us, this made me smile. I quickly pulled out our cards and got to work addressing them cause I was so excited! I could have had Minted address both the front and back for me, but I actually like addressing envelopes, so I opted out of that feature. I chose one of my favorite family photos for the front of the card, and a few extras for the back, from a session my friend Liz did for us back in October. You can see all of those photos in the post just before this one -- right HERE. So there you have it. Our 2016 Christmas cards. I am so thrilled with how they turned out. And I can't wait for many of you to receive them in your mailbox this week! Also, I totally believe in YOU to address your own like I did. Just practice each letter a few times on scrap paper and then take your time. Not only is it fun, but I try to take a little moment and think about who I'm addressing it to, how they impacted our 2016 year, and say a little prayer for them. This post was sponsored by Minted, but all opinions are my own. 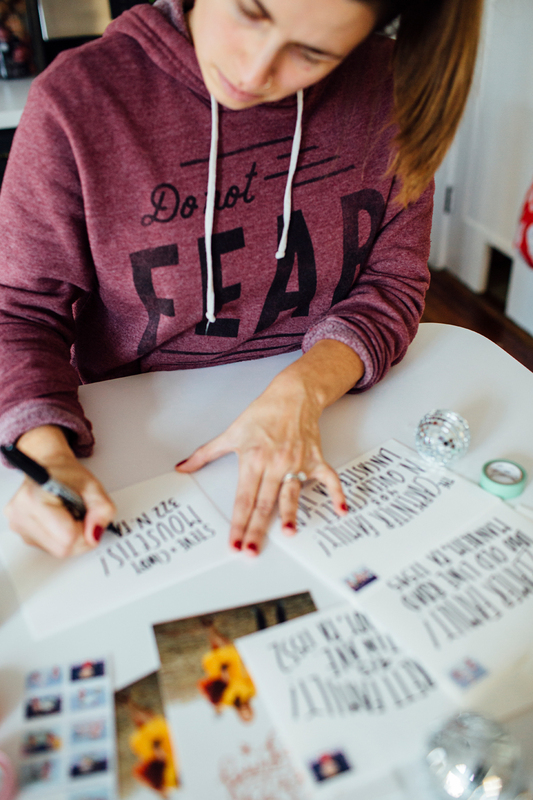 There's still time for you to get a baller Christmas card for yourself - shop Minted today!